Cooperate, talk, converse, share, collaborate… between people… huh that sounds great! Companies are assuming this “new” relationship policy or attitude with their public…. and it appears that this new channel, called Social Media (people that generate contents and share them on the Internet through the 2.0 tools)1, allows them to open up and establish a more transparent, personal and sincere communications. Welcome to public relations in the 21st century, where the management of the relations among individuals establish the principle of a new model, the horizontal multi-way (multidirectional) public relations model. But… Is this really as new as it looks? No, definitely not. In 1984, organizations had already announced that they would embrace a two-way symmetrical communications model, but very few took it seriously. We have to thank Dr. Jim Grünig2, who predicted 25 years ago what was going to happen to businesses with respect to communications with their public. Fortunately, the Social Media have accelerated the understanding and development of this model. We are seeing how “Unity (of individuals) makes strength”, and this is leading large companies to undergo a radical shift in their thinking and abandon their one-way asymmetrical policies to begin to truly “listen” to individuals (people), their public, seeking a sincere dialogue, promoting conversations, and valuing their active participation. Verbal: Since the time of the Romans, Vox Populi or the voice of the people was heard in the public plazas and spread through the only available channel, word of mouth (WOM). Currently, the WOM messages are spread across the Social Media in oral or written format. Audiovisual: In 2003, 12,000 graphic images taken by the photographer Kenneth Adelman were going to be added to the public archive of images of the Californian coast. Obviously, the Malibu beach mansion of singer Barbara Streisand was also included, but the owner did not like the idea and unsuccessfully tried to censure the photographer, which she followed up with a 50 million dollar lawsuit. Because of this situation, the photos were make public on the Internet and they were viewed and shared through syndication of content by more than 420,000 people in a month. This is currently known as the Streisand Effect. Participative. Openly requesting the cooperation of people through the Social Media so that they will offer solutions or innovations for the products of a company is what is known as crowdsourcing and Procter & Gamble has applied it in its Connect+Develop programme. Innovations can arise in any area, such as design, marketing, business model, research, methodology, engineering, technology and they should all offer value. From the launch of the programme and through the beginning of 2010, P&G has considered more than 1,000 initiatives and rewarded these “active collaborators” that are helping the company in the definition of their business and products. All of these examples show the true power of individuals’ unity and propel the Groundswell3 (Anglosaxon culture) or “Fuenteovejuna” (Hispanic culture) concepts. Both are forcing companies to gradually accept that something has to change in their policies of relationships and communication with their publics. Traditionally, organizations have barely paid attention to the opinions of their public, but the speed of communications organized in tree format and the quantity and quality of the information issued, nowadays, is causing companies to fully adopt “horizontal” dialogue. Yes, although it may appear incredible, we are entering into a horizontal multidirectional public relations model that is more evolved and social than the symmetrical model presented in 1984 by the father of the contemporary public relations, Jim Grünig. The model is horizontal in concept and multidirectional in execution. The establishment of a horizontal relationship implies that there is a balanced distribution of power among or between the participants and the organization and vice versa. That balance must benefit the entire community and is achieved through the ongoing participation and free exchange of content among individuals. Horizontality also implies the partial decentralization of the power to allow to “others” that become active participants in the decisions and actions that affect the individual/community and should offer real autonomy so that those voluntary commitments and mutual settlements respect the diversity of the individual and the community. A current example of offline/online horizontality is occurring in the Lavapies neighbourhood of Madrid with the Centro Social Autogestionado (self-managed social centre) established in the old tobacco factory www.latabacalera.net. The project adopts formulas for the social exchange of ideas, reciprocity, altruism, dialogue, respect and occasionally participative decision making. Multidirectionality is established when a sender initiates the transmission of a message to various receivers and receivers become multiple senders of the same message and so on, in a fractal manner. Another aspect to consider is that neither the originator of the third generation sender know who the successive receivers are and what a community they belong to. Therefore, the multiple ways that a message can take cannot be measured, not for distance or movements, but it can measure the quantity and quality of opinions generated as a result. 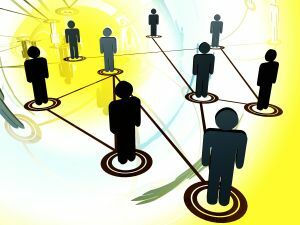 Fortunately, the horizontal multidirectional public relations model is measurable quantitatively, through web analytics, metrics, and impact analysis and qualitatively by means of parameters such as participation, commitment, commonality and cordiality through cost-benefit analysis and influence maps. This entry was posted on 22 marzo 2010 at 17:12 and is filed under Relaciones con Medios Sociales. You can follow any responses to this entry through the RSS 2.0 feed. You can leave a response, or trackback from your own site.